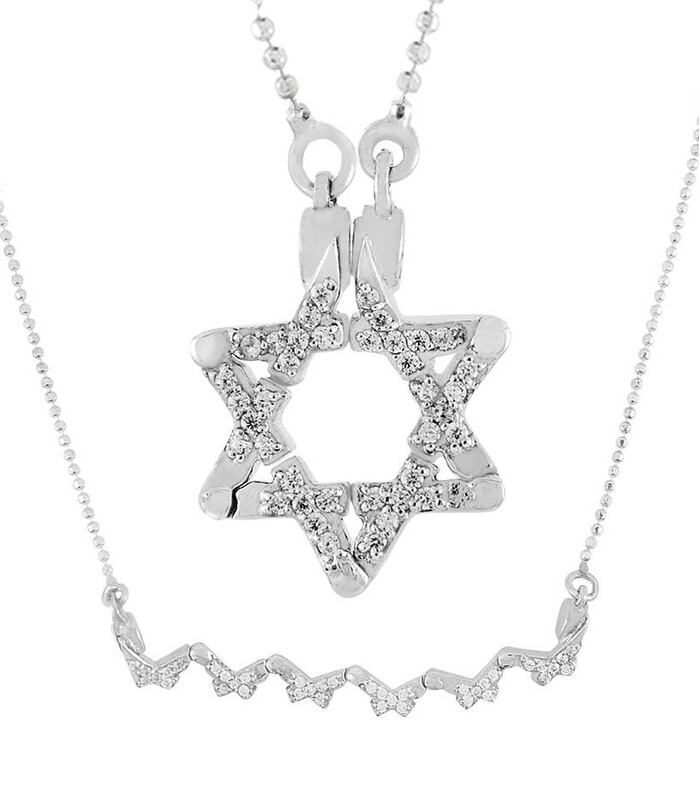 Sterling silver Star-of-David Butterfly necklace. It is said that during the time of the Spanish inquisition, when it was forbidden to practice Jewish religion, the Marrano's (Anusim or forced converts) would use Jewish symbols as a Star of David in the private of their home and then flip it open to make it appear as an ordinary item with no religious meaning. The necklace has mini magnets set into the joints, you can use as a star, or with a light pull separate the magnets, it will fall open and look like a butterfly. Pendant measures 22mm H x 16mm W (.86 x .63 inch), Chain is 18" long.